While the new Android 5.0 Lollipop version is now official, Motorola, which happens to be the maker of the new Nexus 6 smartphone (which coincidentally looks like the new Moto X), has revealed that it would be updating the Moto range of smartphones. 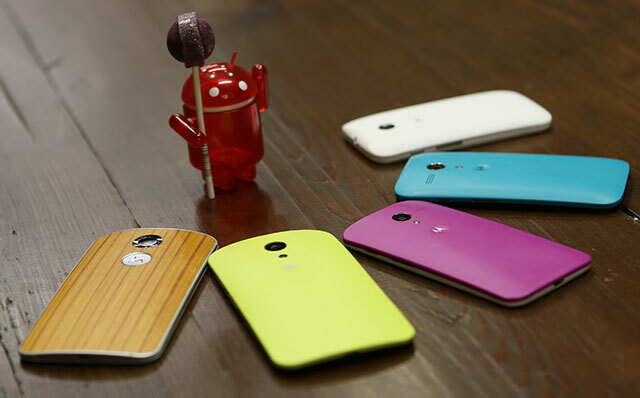 Motorola has revealed that the company will roll out the new Android Lollipop updates for the Moto X, the Moto G, the Moto G LTE and the Moto E. besides these smartphones, the Droid Ultra, the Droid Maxx and the Droid Mini would get the new Lollipop update. All this but in time. We can expect the devices to start receiving the updates only towards the end of November at the earliest.